After Administration standard bearer Mar Roxas stated that Davao City as one of the safest place in the country was only a "myth". The former Interior and Local Government secretary Mar Roxas used the data from the Philippine National Police where the 18,000 crime incidents were recorded in Davao City in 2014. "So myth, kathang isip, imagination lang 'yung payapa ang Davao City. Hindi ko sila dina-down, sinasabi ko lang kung ano ang istatistika," Mar Roxas said in his speech during a presidential forum at the Ateneo De Manila University in Quezon City. "It is fair to declare someone who falsely spread wrong and misleading information against Davao City and its people as persona non grata. To put down a city whose peace and order are clear and well-implemented, to say that Davao City's well being is a myth, these are clear manifestations that Mr. M. Roxas has insulted not only our place but the people of Davao moreover." He added, "In one way or another, the presidential candidate just want to put down Davao City with disrespect and undermining the good citizens of Davao." Change.org is website where you can start campaigning, mobilizing supporters, and working with decision makers to drive solutions. The campaigned petition was started this Saturday afternoon, December 12, 2015. And as of writing this article, the netizens who already signed the petition was already 731 supporters and it needs 269 more to reach the 1,000 points. Some of the comments says,"I'm singing because Roxas is not a good leader for filipinos. He is just doing anything even to insult davao people. Just to make his name's famous. Especially to those people who doesn't know how clean DAVAO CITY is nor Mayor Duterte as a good leader and a father for davao people," by Develyn Pacay, San fernando, Pampanga. 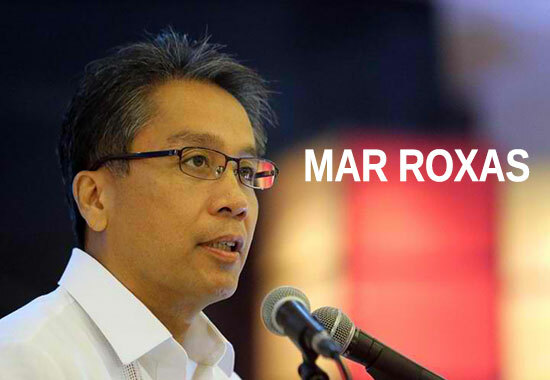 Do you agree with for the petition on Mar Roxas? Share your thoughts below. Comments or suggestions about "Netizen start petition to declare Mar Roxas as Persona non Grata of Davao City" is important to us, you may share it by using the comment box below.